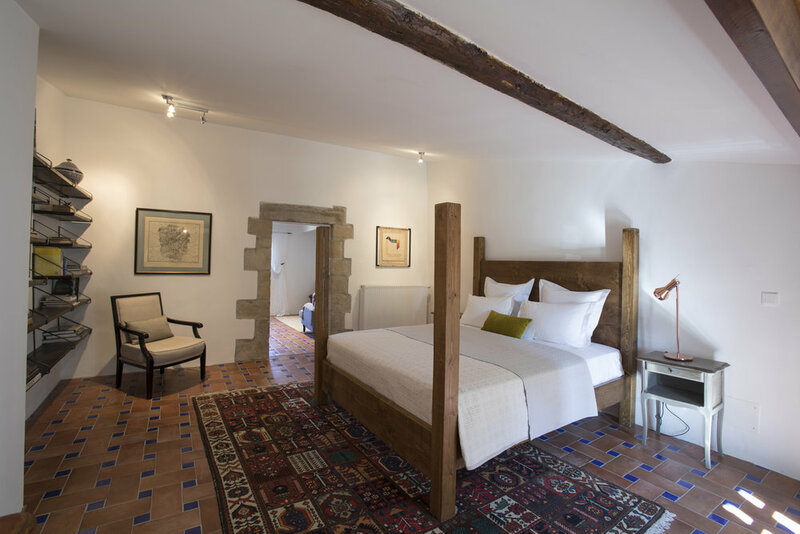 SALAGOU suite is our most spacious suite and has been decorated to reflect the local area of lake Salagou with its dramatic landscape. When you walk into the room you immediately notice the large proportions of the suite and the generously sized bed with the luxuries bedding. The living room offers unique uninterrupted views of the surrounding hills.